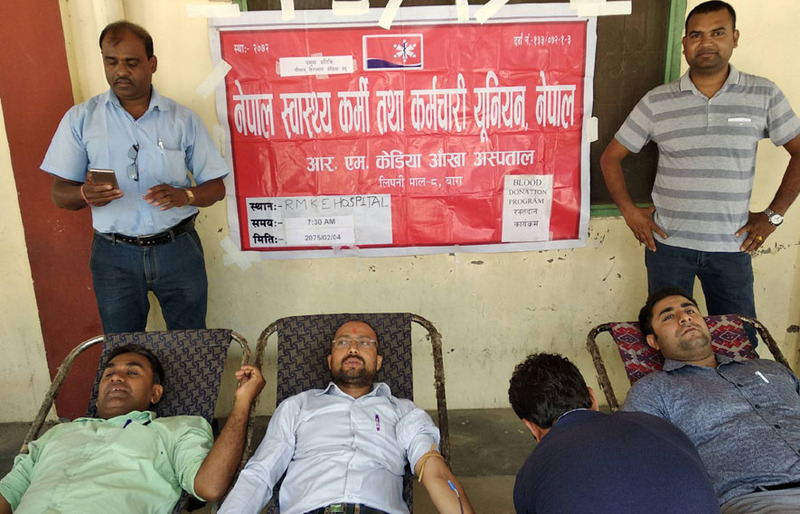 Blood donation programme organized by Nepal Health-Work and Employees’ Union (NHWEU) in coordination with RM Kedia Eye Hospital has been concluded in Bara district.Altogether 35 participants had participated in Blood donation programme . The programme was organised under the presidency of union President Cde. Binod Kumar Kamkar.